Registration closes December 29th 2019. Okay, here is your Last Chance to run a half marathon or full marathon this year! 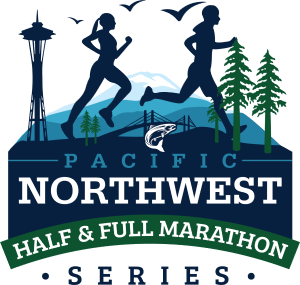 The half marathon course is an out and back, and the full marathon course is the same out and back course two times, starting at Fairhaven Park Pavillion, running the Interurban trail out to Clayton Beach for the full 13.1 miles or 26.2. Course is subject to change if trail conditions mandate. Last Chance Marathon and Half Marathon is part of the Washington Full & Half Marathon series. Complete 4, 7, or 10 of the participating races in a given year and receive a medal celebrating your accomplishment at a medal race. Check here for a list of races participating in the half series. P.S. This race is a medal race. Take I-5, either north or south, to Bellingham, take Old Fairhaven Parkway/Chuckanut Drive exit #250 and go west towards Fairhaven to the second light (12th Street). Turn left, go over the bridge (Fairhaven Middle School will be in front of you) after crossing the bridge and while sitting at the light. When light turns green, turn left again, going past the rose garden (with no roses) to Fairhaven Park entrance. Parking near the pavilion is limited. We have been asked not to use the upper parking lot since the park is still open to the public during the race. If you’re parking at the park, only park in marked spots. We are not allowed to park along the sides of the area, and doing so may jeopardize our ability to put this race on in the future. There is street parking near Fairhaven Middle School where participants may park and walk to the event. Runners opting to start early will not be eligible for awards. Their placement on rankings will also be below all participants who start at the normal time. We reserve the right to give participants starting early a minimum time of 3 hours for the half marathon, and 5 hours for the marathon. This race is dog friendly but please keep your dog on a leash and next to you while you run so you don’t trip other participants, your dog does not run off, or get into a fight with other participants and local residents dogs. Please start towards the back of the pack so the folks that want to race can do so without risking getting tripped by a dog or dog leash. This trail has spectacular views and very few hills, just enough hills to make it interesting and break up the flat sections. FYI: We have been known to have SNOW this time of the year so plan accordingly. The majority of this trail is covered with a canopy of trees which deflects some of the rain or snow, but this also means it doesn’t heat as fast as an open course would. It can get cold. The majority of the trail is an old railroad bed, very easy to run on gravel surface, with the exception of Arroyo Park. Arroyo Park is 3/4 of a mile, double track trail with a few bridges and a few fun hills. It is a very well maintained set of trails. You should plan on being self-sufficient and carrying your own water and aid. The 1st aid station on the course is ~ 3.5 miles into the race off Chuckanut Crest Drive. In the half marathon you will run by this aid station twice, and 4 times in the full marathon. There will be an aid station at the turn around Larrabee State Park, Clayton Beach Parking Lot, which you will access once in the half marathon and twice in the full marathon. We will also have an aid station at the start/finish so full half marathoners will have 3 chances to refill their water bottles and get aid, about every 3 to 3.5 miles, & marathoners will have 7 chances to refill their water bottles and get aid. We will have water, an electrolyte drink and other snacks at the aid stations. Usually we put some type of candy like candy corn, gummy bears, bananas, pretzels, typical ultra style foods. You won’t go hungry! Finish Area – Soda, Water, Coffee, Hot Drinks, Hot Soups (Vegan option available), Grilled Cheese Sandwhiches, Chips, etc. Please note the aid station outside is mainly for the Full Marathon participants. 123 2:06:03 ?? ?? ?? ?? 129 2:27:41 ?? ?? ?? ? ?